Riverside has a wide selection of folding boxes for Stationery, Letterhead and Forms. 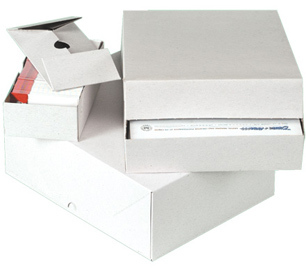 Choose our Glossy White Stationery boxes, or economical Matte White Letterhead Boxes. The Misty Gray Folding Stationery and Letterhead boxes are also available.